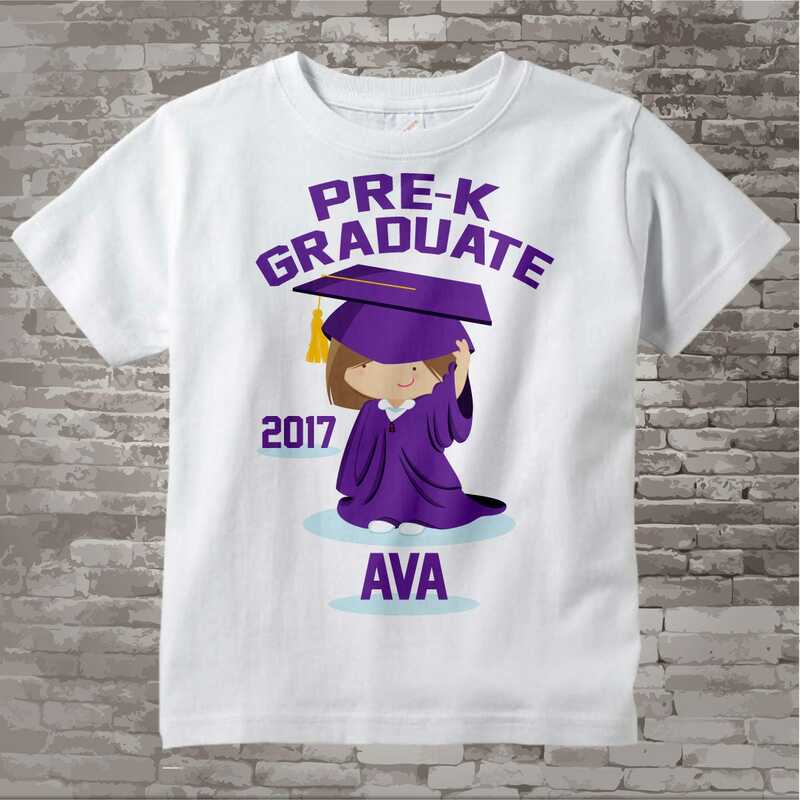 This design I created for that cute little girl that just graduated Kindergarten. 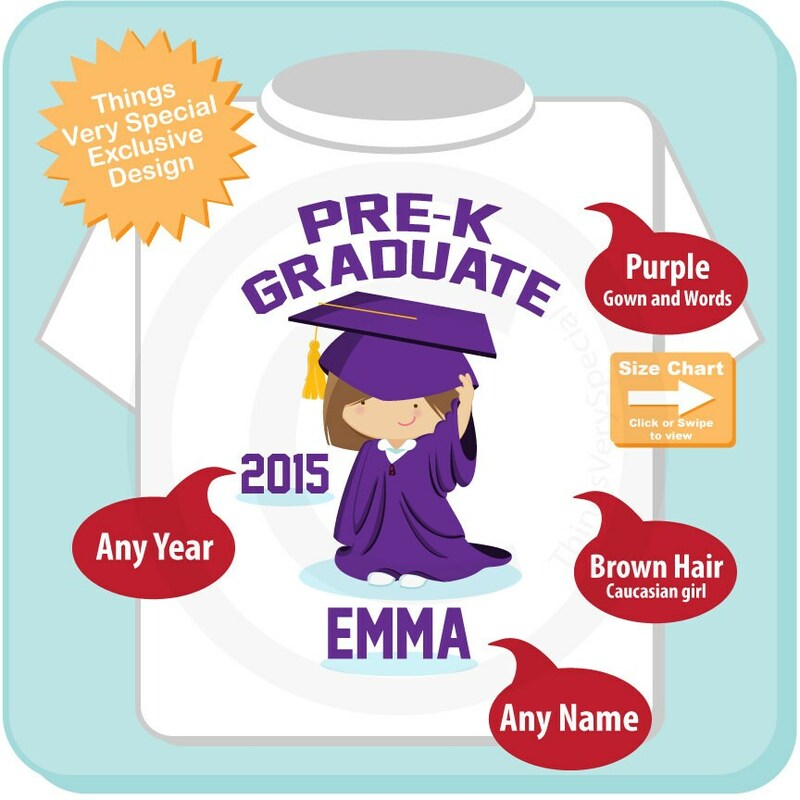 It can be personalized with your child's name the year of graduation shown with a brown hair caucasian girl in a purple cap and gown. Purchasing this listing will get a caucasian girl design with brown hair and a purple cap and gown. **LONG SLEEVES AVAILABLE in the dropdown. Love this shirt. She was really excited to put it on for her pre-k field day. Fits her great. Thanks so much. Will definitely be ordering again. 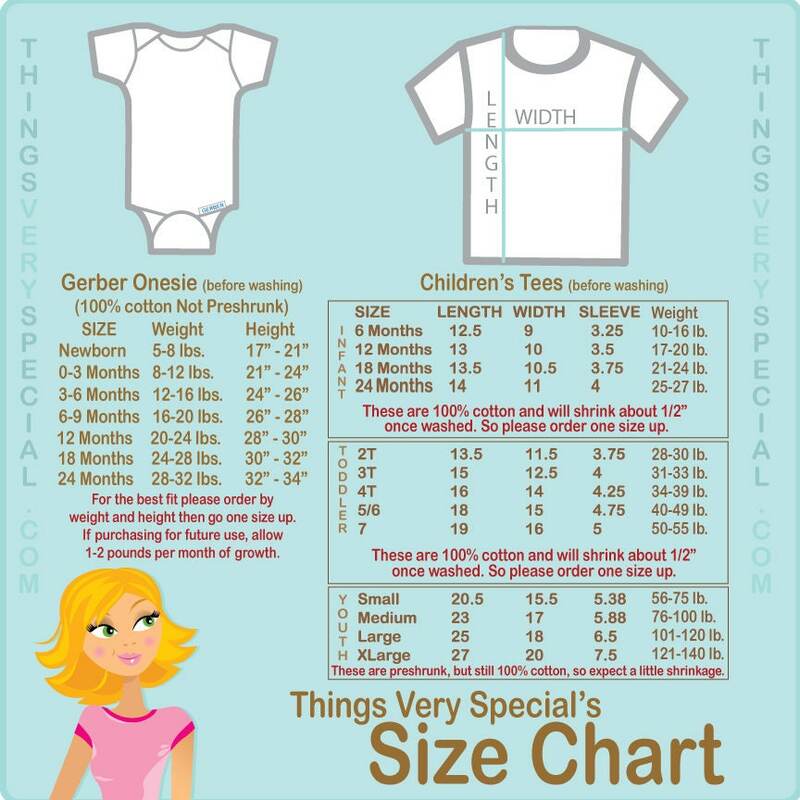 THIS SHIRT IS ADORABLE!! GREAT QUILITY!! It was very cute, and yes, it shipped on time.